Networking ensure that data remains in your private space in the cloud. So it’s not just a VM thing. Cloud network security is evolving as the apps change! 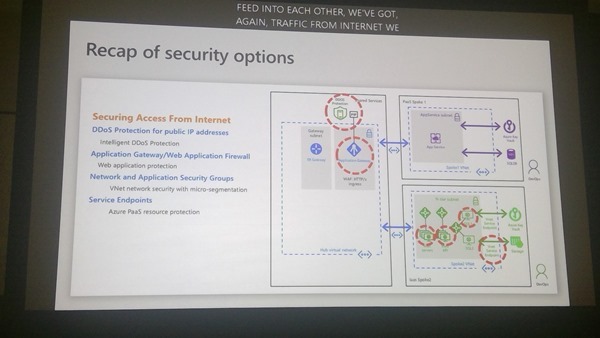 You can build a vNet and add subnets as security boundaries. You can add peered vNets locally and in other regions. 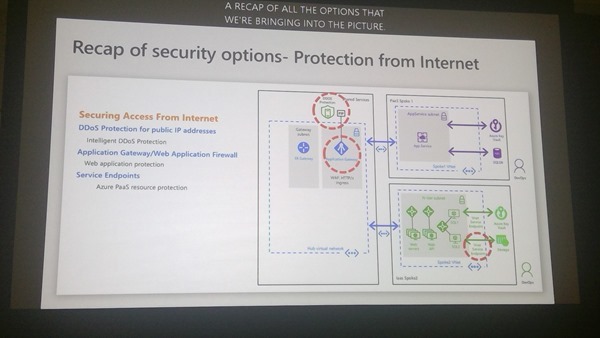 And you might have external connections via VPN/ExpressRoute. 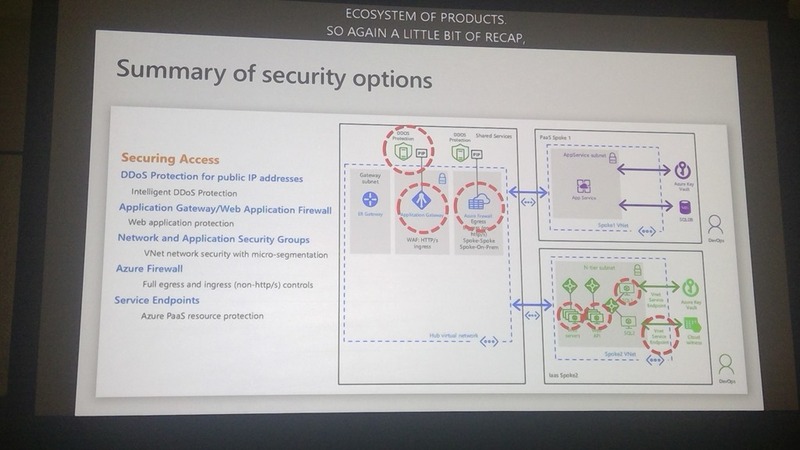 There are a mixture of Azure-native and third-party security offerings. 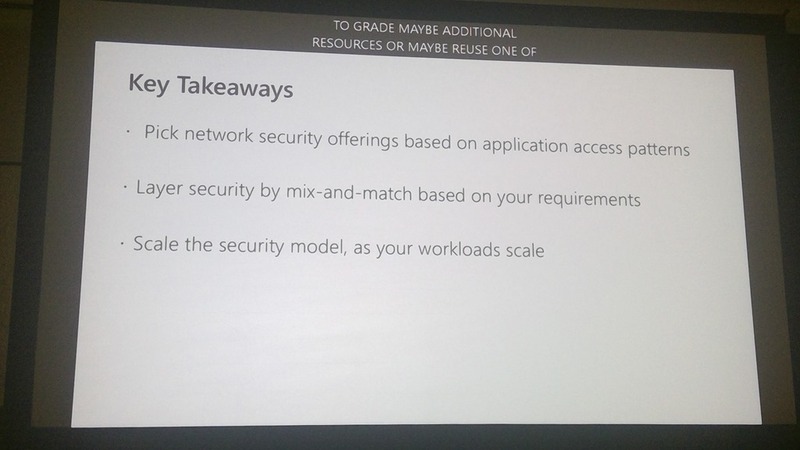 Use these to decide what network security solution to pick. Probably will be a mixture of the below. VMs don’t need public IPs. 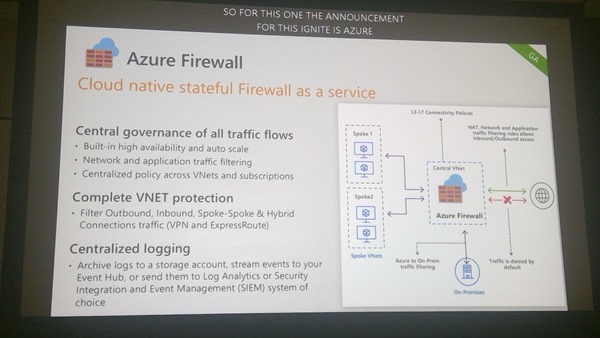 However, when you use Azure services, they have public IPs, e.g. Azure SQL. This might require you to allow outbound connections that you might not have done before. Anyone with rights for default deployments can access from anywhere. But if you add services to the VNet, via service endpoints, and apply services firewalls, e.g. 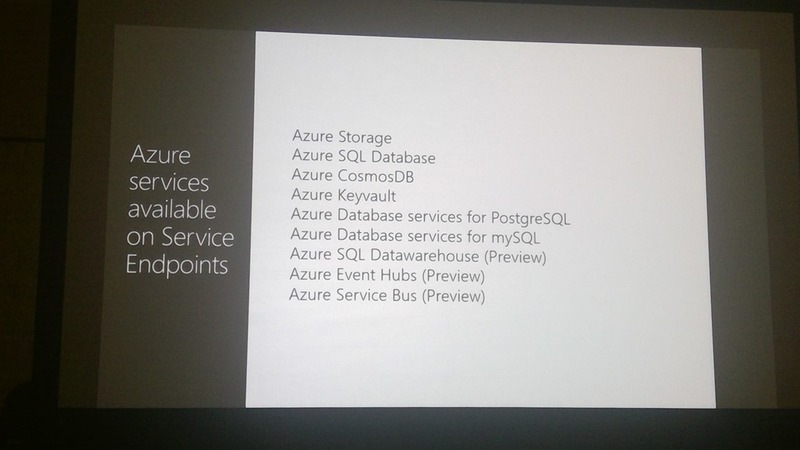 Azure SQL, then you can restrict access to these platform services. 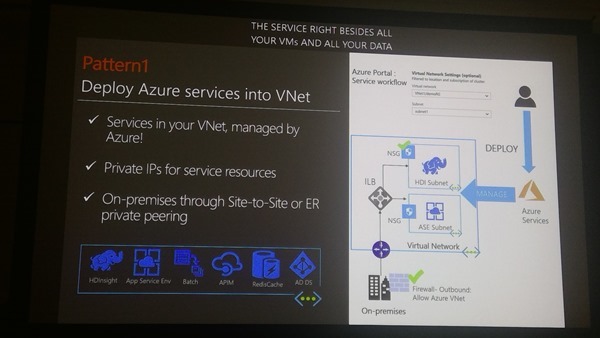 Add services to a VNet to allow private access, but public access is also possible. 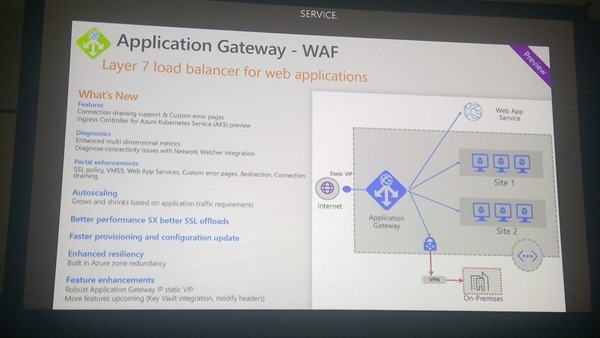 Example, App Services Environment (ASE) is deployed into a subnet. Services in Azure might require outbound access from your VNet. Use Service Tags to limit outbound traffic to local service. 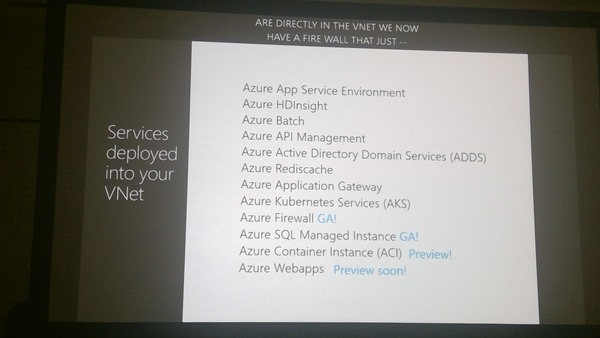 Azure Webapps will be getting preview support soon – an alternative to P2S VPN. All scenarios: Remove “Allow All Azure Services” or “Allow All” settings. Resource locked to a VNet: No access to other VNets or Internet or on-premises. Permit on-premises: Add the on-prem NAT IPs under “firewall” on resource. Careful – locking network access down can prevent Azure services, such as backup. There are docs for these workarounds – ask Anitha Adusumilli. 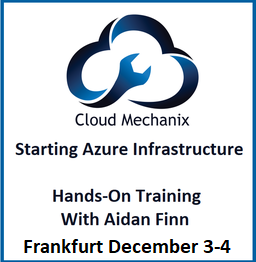 Restrict network access to just the azure services your use. She has a VNet with a subnet. Service endpoints is turned on for Storage (all) in the subnet. She only wants to allow access to a single storage account. Adds that storage account to the subnet’s service endpoint. Logs into VM in the subnet and runs Storage Explorer. Can access files in the configured storage account. Another storage account can also be accessed. Goes to Service Endpoint Policies – a top level resource like NSGs. Adds a new policy, adds it to resource group and names it. Sets a scope – all storage accounts, all accounts in resource group, or specific storage account – picks the allowed storage account. 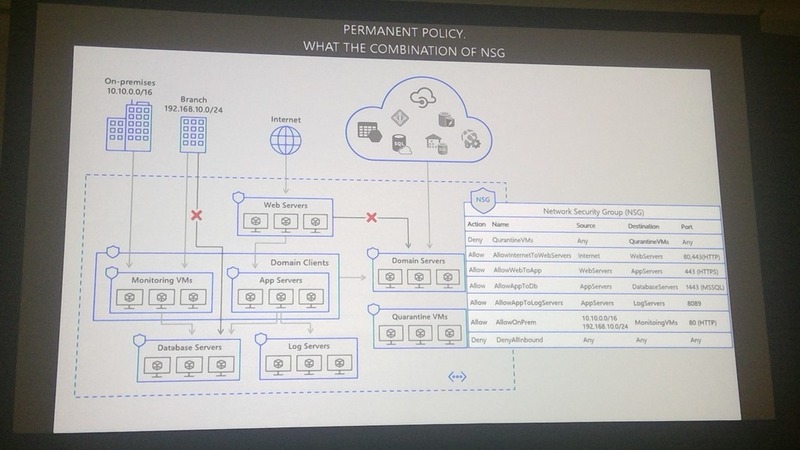 Associates the policy with the subnet – like NSG. 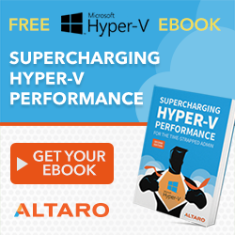 Now in the VM, only the authorized storage account can be accessed in Storage Explorer. Switch to Mario for part 2. Rapid Response – Specialized rapid response team support during active attacks (via support ticket). Custom mitigation policy configuration. 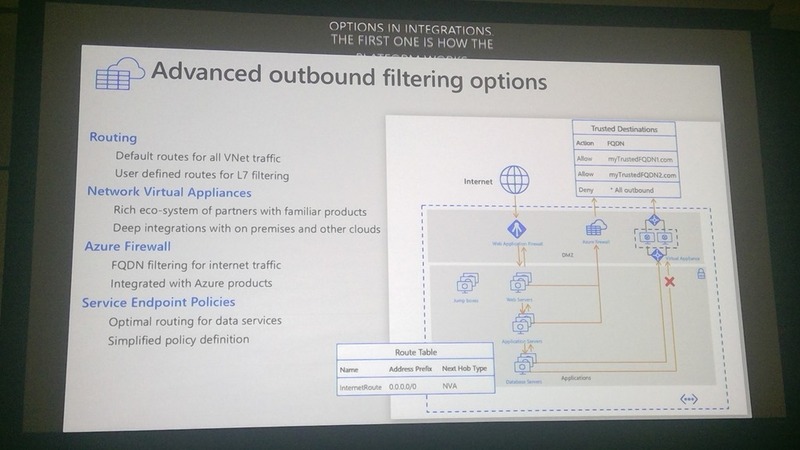 They’re flattening the number of subnets using ASGs – tiers of app in one subnet but rules based on on ASGs instead of subnets. Subnets then deployed for Edge/DMZ and app. Using ASGs for micro-segmentation.